Ryan Strange, CEO of ControlByNet recently provided Security Magazine his insights on why now is the time for dealers and integrators to make the move to cloud-based video security solutions. Security is more than just the protection of people, companies and their assets; it also is an integral part of a company’s reputation and success. In today’s tight economy, companies are looking for systems that save resources and decrease overall security and maintenance costs. From one woman shopper using pepper spray on at least 10 shoppers to a “waffle riot” in Arkansas, this year’s Black Friday is best be described as madness. But shoppers aren’t the only ones out during the holidays. The holiday shopping season turns shopping centers and malls into feeding grounds for criminals. Lucky for retail outlets and police departments, there are surveillance cameras everywhere and retail outlets are becoming very tech-savvy. No longer are they relying on DVRs which can become a victim of crimes themselves as thieves destroy or steal them. Today’s retail outlets are turning to solutions like ControlByNet’s i-flahsback REMOTE to securely monitor their stores from anywhere on any Internet connected device. Retail Info System News recently posted “The 12 Ways of Christmas Surveillance” (http://risnews.edgl.com/retail-trends/The-12-Ways-of-Christmas-Surveillance76963) providing insight to retailers on how network based IP surveillance can provide both data and alerts to help fight crime, as well as improve sales and operations. ControlByNet customers including a Tires Plus franchisee has experienced the benefits of IP-based video surveillance first-hand. The client had someone break in and steal some tires and computers. Unfortunately for the owner, the robber also picked up the DVR and walked out with the evidence. That was the last straw for this owner, who is now using i-flashback REMOTE for multiple shops. No data onsite for theft, and there have been more than a few who have been caught in criminal activity. What’s best for this owner is he can login and see all locations just as he was there, and each manager can also log into his/her respective location. ControlByNet is seeing this firsthand with a vast majority of its inquiries coming from information technology companies not currently providing a security solution. Approximately 70% of inquiries regarding CBN’s solutions are coming from information technology companies versus security companies. Of those, 50% have never dealt with security at all but see it is a valuable added service to existing customers. Many of these new entrants into security believe they will be offering a service that, if they had not offered, the customer would likely not be looking elsewhere for video surveillance. ControlByNet works closely with all of its clients to make the move to IP as easy and effective as possible. CBN provides the following to help all of its clients with the move to cloud-based IP. In today’s Internet-enabled world, businesses need to utilize the public network infrastructure for their video surveillance needs. Many organizations assume cloud-based technology consists of data stored on someone else’s servers sitting in a data center. However the cloud is not a box sitting in a rack, it is a network communications backbone that enables technology to work in new ways. 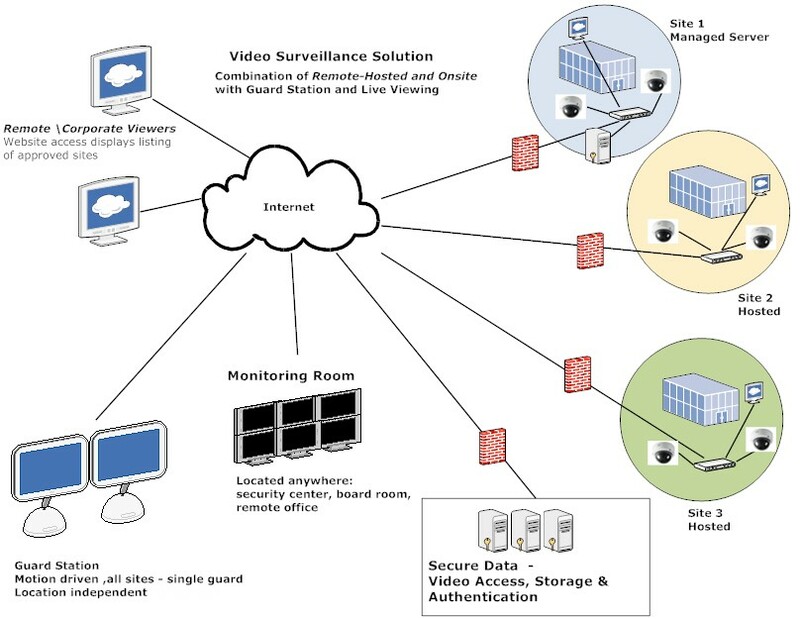 In the past, video surveillance focused on digital video recorders sitting onsite in a closet or underneath a monitor. While digital cameras are certainly in the mix now, analog cameras are still popular with an older generation of cctv installers. The learning gap tends to scare many installers from making the jump to more advanced solutions. However, there are many new experts in the video surveillance field that utilize technology to provide much more complete and effective solutions. A recent study by Lusax, a research group at Lund University in Sweden, found that the installation of a mid-sized IP video surveillance system costs less than installing a corresponding analog system. These solutions don’t stop at a box in the closet but expand to multiple options for the business. The importance of thoughtful planning of a video surveillance system cannot be overlooked. Decisions today will still be impacting the solution for years to come. Consider not only the initial needs of the solution but also where the system will be in 5 years. You are currently browsing the archives for the IP security category.